Would you like a spot on a corporate board? It’s a smart move for experienced executives looking to make an impact with their business and leadership skills. A corporate board position can be lucrative; but even if you’re on the board of a nonprofit or startup, sitting on a board boosts your credibility and reputation, bringing new career and business opportunities. 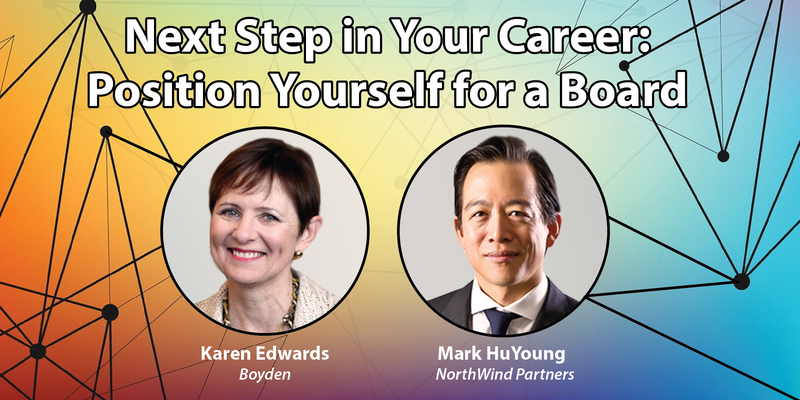 This is an issue that interests many of our clients, so I recently interviewed two executive recruiters: Mark HuYoung, managing partner at NorthWind Partners, and Karen Edwards, partner at Boyden. We talked about what is involved in getting on a board, and how executives (especially female executives) can position themselves for board roles. But things are changing. Complexities that come with today’s technologies — cybersecurity and the rise of social media, for example — mean that someone that has been a CEO for 20 years or has been retired for a while might not understand the issues that are critical to today’s businesses. Some of the movement towards diversity is voluntary, but certain jurisdictions are making a more active effort to speed diversity. California Senate Bill 826 requires every publicly held company in California to have at least one woman on its board of directors by the end of 2019. These changes mean more opportunities for potential directors. So, what do executive recruiters and nominating governance committees look for when evaluating potential board candidates? 1. What stage of the business lifecycle is the company in? 2. What role does the company need to fill? 3. What industry is the company in? 4. Will they fit the company and board culture? 5. Does the candidate have a level of passion and dedication to the company or cause? While some businesses want to have people with a high profile sit on their board, it’s important to be realistic about how much they will be able to contribute, especially if they already sit on four or five boards. “If you are willing to remunerate someone to just be a name and don’t necessarily expect them to add significant value, that’s fine,” states HuYoung. Look at your expertise from the perspective of the board and determine how to package yourself so it is easy for board members to see what you bring to the table and how you will fit into the framework of the board. “One board I was talking to was specifically looking for a woman to join the board, and they found a great woman, but she was already on five boards,” adds Edwards. She recommends reaching out to people like that. Their visibility means people are likely contacting them regularly about boards, and if they like you, they can make referrals. 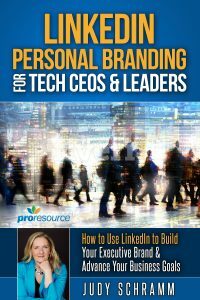 Will executive recruiters and nominating committees look at your LinkedIn profile? Yes, say both Edwards and HuYoung. Social media checks mostly come into play in the research stage of a candidate search, with LinkedIn topping the list of platforms to review. Recruiters look for people who are relatively engaged, meaning they not only have a LinkedIn profile that’s reasonably up-to-date, but are commenting on posts, writing thoughtful blogs, and have been quoted in articles. A clean LinkedIn presence is also important, showing a level of savvy and thoughtfulness. It doesn’t look good if a candidate has multiple profiles, according to HuYoung. Spend time on one clean profile, making it attractive and interesting. Know what story you’re trying to tell and use your LinkedIn profile to tell that story and craft your personal brand. If you’re currently looking to join a board of directors, both Edwards and HuYoung agree that the most important thing you can do is work your network. 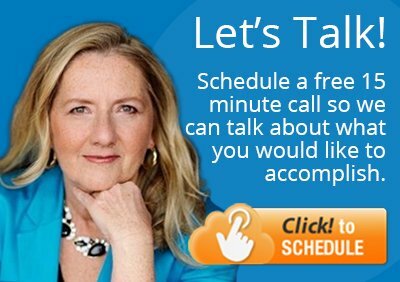 Talk to other people who are on boards and if you have good relations with an executive recruiter, let them know, too. Make connections, share your skills and qualifications, and become expert at articulating your personal brand. In time, you’ll be pulling up a seat at the boardroom table.